Dubliners, see 'The Phantom Of The Opera' with a new original score in the park this Saturday. Both film and music lovers alike will delight at what Happenings have planned for this Saturday 1st July, in the heart of the city, Merrion Square. We will be landing in the city park and combining great weather and instant communication to gather hundreds of people to witness the 1925 silent horror 'The Phantom of the Opera'. Not only will we be screening The Phantom of the Opera - but we will be welcoming ' The Happenings Quartet' made up of musicians Matthew Nolan, David Stalling, Sean Mac Elaine and Sharon Phelan who will perform an original score that will accompany Rupert Julian’s 1925 classic. Happenings & DCC want Dublin film lovers to grab their mates, loved ones and some picnic blankets for this blissful summer evening as the city centre park will be transformed into a pop-up outdoor cinema, musical amphitheatre with entertainment, music and food. 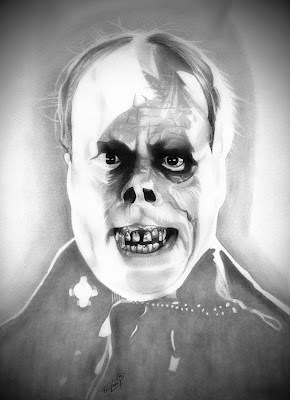 A true Hollywood classic - the silent black and white film, The Phantom of the Opera stars Lon Chaney, Hollywood’s “Man of 1,000 Faces” as Erik, the horribly disfigured phantom who leads a menacing existence in the catacombs and dungeons beneath the Paris Opera House. When Erik falls in love with a beautiful prima donna, the master musician kidnaps her and holds her hostage in his lair. Tickets are available on www.happenings.ie or on the gate for €10. Gates open at 8.30pm. The film will begin at dusk.